Direct Traveller is an award winning tour operator based in the UK. Tekcabin has created them an online website for the discerning travellers looking for a range of beach holidays and tour experiences. 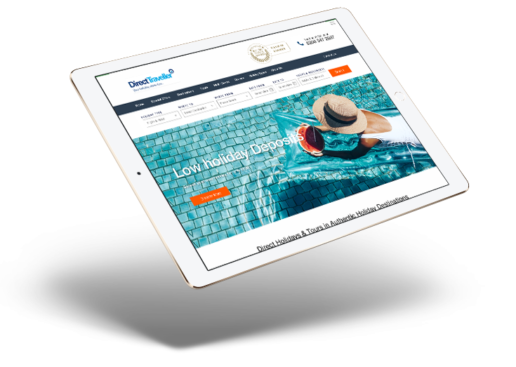 Having had a booking website before, Direct Traveller wanted to shy away from high fees when adding new features. Tekcabin was able to offer cost effective travel technology solutions which were tailored to their needs. Direct Traveller opted for the inventory management systems to sell its own stock of hotels, own stock of transfers and own stock of tours. They are connected to third party flights and offer these as a combination with own stock and third party integrations. Direct Traveller was also seeking a solution that allowed them to move away from separate online systems and a separate offline manual booking system. 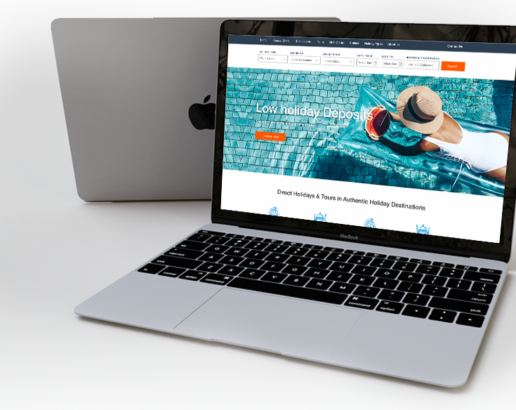 The Tekcabin travel technology platform is ideal for this, as Direct Traveller now has one environment for online reservations, and offline reservations. They can take manual bookings offline over their call-centre, and they can use the online dashboard to allow call-centre staff to automatically generate packages using the websites technology. the system also allows full admin changes to online and offline reservations. Other features that Direct Traveller opted for are a travel agency area for agents to log in and make reservations, a manage-my-order section for customers to login and manage existing bookings, the advanced SEO friendly CMS system that allows for content creation and updates. The advanced rules module has also allowed them to drive up their gross profit margins based on criteria that they select such as dates, time to travel, order values and more. With powerful and robust technology solutions for travel businesses, Tekcabin is able to offer Direct Traveller a system which grows with them as they choose modules that suit their evolving requirements.